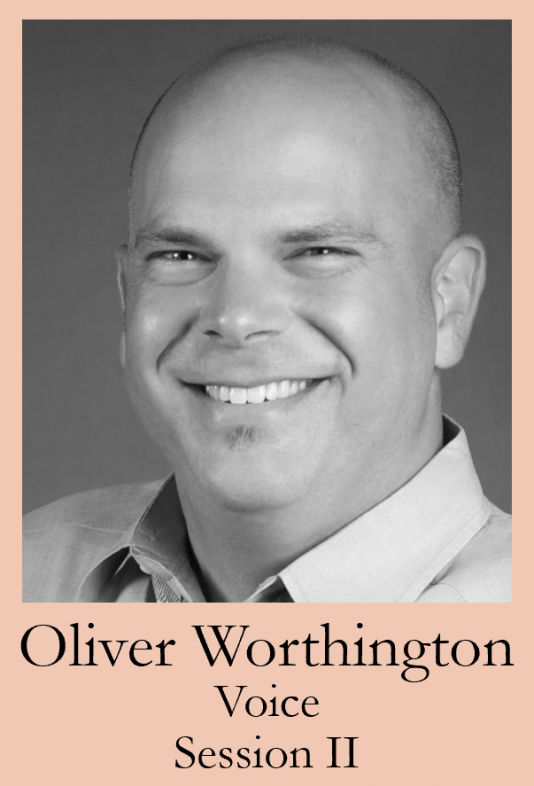 Oliver Worthington, baritone, has received international, regional and local acclaim for performances in a variety of musical and theatrical performances. He performed extensively as an opera singer, oratorio soloist and recitalist in Texas before moving to Indianapolis to join the faculty at Butler University. During his time in Texas, he appeared with regional companies like Indianapolis Opera, South Texas Lyric Opera, San Antonio Opera, San Antonio Symphony, Hill Country Lyric, Austin Opera and Lone Star Lyric in roles ranging from Eisenstein in Die Fledermaus to The Duke of Plaza Toro in The Gondoliers. In his first two years in Indianapolis, he has already performed with the Indianapolis Opera, The Indianapolis Symphonic Choir, The Indianapolis Chamber Orchestra, and several ensembles at Butler. As a soloist and recitalist, he has appeared with orchestras and choral organizations throughout the United States performing oratorio roles as well as solo recitals. A champion of living composers, he frequently premieres new works on recitals in addition to the standard repertoire. Dr. Worthington is the Vocal Area Coordinator and the Director of Butler Opera Theater at Butler University in Indianapolis. His directing credits include musicals and operas from old favorites to world-premieres in venues throughout the United States. He maintains a full schedule as an educator and performer and serves as the President of The Fritz and Lavinia Jensen Foundation, a non-profit dedicated to supporting the arts through cash prizes to young singers.